Cargo theft often is thought of as a silent and victimless crime, despite the fact that it accounts for losses of billions of dollars annually in the United States. The most common incidents of cargo theft involve gangs who steal high-value commodities from loaded trailers. Substantial losses can also occur from facility burglaries. 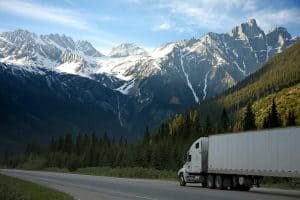 Cargo theft has a great impact to the United States economy, which makes up roughly 17 to 22 percent of the world’s gross domestic product (GDP), according to EconomyWatch.com. An insight into the impact of cargo theft on the retail community is crucial in determination of its economic significance to the United States at large. In any business, the mechanics of its supply chain help the various management groups keep track of the flow of goods from one point to another. Therefore, if the supply chain loses control or has a substantial disruption, a chain of instability is created. This disruption influences not only the business areas, but also indirectly large portions of the economy. Cargo theft has notable downstream costs that exceed the value of the goods stolen. While it is difficult to quantify these costs, they are estimated through varied methods that are passed to the consumer. When such cases occur, the prices for goods increase, and the extra amount that each consumer has to pay to get the product accounts for the loss caused by cargo theft. Insurance companies are highly motivated stakeholders in the retail industry and play a major role in cargo security. Cargo theft is often perceived as an insurance problem; therefore, its effect on the economy cannot be underestimated. As Jared Palmer explained in his article in Inbound Logistics, when companies report cases of trucks being hijacked, insurance premiums are raised the following year because the trucking company may not cover the entire loss—even with coverage based on their deductible. Getting a similar shipment for the retailers affected may not be possible, which can negatively affect the retailer’s target of meeting their customers’ demands and vendors’ “first to market” commitments. If a truck transporting goods has been hijacked, for example, the trucking company pays for the stolen products and the loss. Covering the entire loss could be impossible because of the deductible policy. Rates for future shipments for the same product will be raised to cover the loss incurred, and additional costs will be passed to the retailers (shippers) who will pass them to their customers. Both the manufacturing company and the retailers have to pay an extra amount to cover the loss incurred by the shipment company to obtain a similar product. In inflicting financial damages to shippers, consumers, manufacturers, and carriers, cargo theft has had the highest impact. The most critical impact to any company is on its image, awareness, and other relationships. When cases of theft happen, the stolen product is typically reintroduced via gray markets to the supply chain through illegal means that are out of control for the brand owner. Criminals tamper with the goods and change their prices, and the impact is felt by both the end user and channel partners. To avoid such potential exposure, minimalism is best when using company names, corporate logos, or any other information that may be shared on the shipment content. All of those pertinent elements can be noted on the interior packaging. The traditional brown box is becoming less interesting for the curious or impulse criminal. There will always be the marketing and sales demand to promote the brand, but there needs to be a healthy balance between risk and reward. Some companies even continue to withhold information about their losses and do not report such cases to avoid negative perceptions of the public. Moving a commodity or novelty item from origin to destination is seriously impacted by the cargo theft. In today’s mutual supply chains that encompass multiple stakeholders, including the carriers, brokers, drivers, retailers, and manufacturers, an expense is always created by the need to rebuild the order and shipment to meet the original or revised demand based on time lapse or new consumer appetite since the loss. This additional expense and extra work must be handled while managing the cost of lost or stolen goods. To read the full article, visit “Cargo Theft and Its Impact on the Retail Community,” which was originally published in 2016. This excerpt was updated August 8, 2018.